At the Georgia Foreign Trade Conference, Georgia Ports Authority Executive Director Griff Lynch unveiled GPA’s Big Berth/Big Ship program that will allow the Port of Savannah to simultaneously handle six 14,000 TEU vessels by 2024. “No other single container terminal in North America has the ability to expand berth capacity at this rate,” said Lynch. 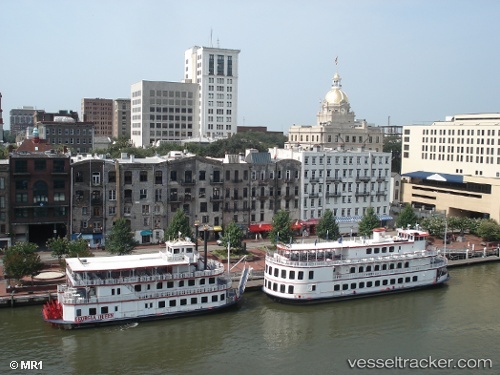 Currently, Savannah’s Garden City Terminal is equipped to handle two of these vessels and by April of this year that number will increase to three. During his presentation titled “2019: The Triple Crown?” Lynch told an audience of 350 logistics professionals that the Port of Savannah had just last week achieved the busiest month ever in its history, moving 433,975 TEUs, a whopping 28 percent jump over the previous year. The Board of the Georgia Ports Authority (GPA) has approved the purchase of 10 additional Konecranes Rubber Tired Gantry (RTG) cranes. This will bring the fleet at Garden City Terminal, Port of Savannah, to 156 Konecranes RTGs. The Port of Savannah had a record April in which 356,700 twenty-foot equivalent container units (TEU) were moved, an increase of 7.1% over April of last year. “We’re on track to move more than 300,000 TEUs in every month of the fiscal year, which will be a first for the Authority,” said GPA Executive Director Griff Lynch. “We’re also anticipating this to be the first fiscal year for the Port of Savannah to handle more than 4 million TEUs,” continued Lynch. As the fastest growing container port in the USA, the Port of Savannah has achieved a compound annual growth rate of more than 5% a year over the past decade.